If you had to choose, you'd want your men's sweatshirt to have awesome flame-resistant capabilities, right? Of course! Here's a great option for you - this CAT Apparel Men's 1910015 95G Black FR Full-Zip Flame-Resistant Sweatshirt offers you with the ultimate warmt ... (see full details) (see specifications) #CAT1910015-95G. If you had to choose, you'd want your men's sweatshirt to have awesome flame-resistant capabilities, right? Of course! Here's a great option for you - this CAT Apparel Men's 1910015 95G Black FR Full-Zip Flame-Resistant Sweatshirt offers you with the ultimate warmth, comfort, AND protection. The CAT sweatshirt is designed using 14.5 ounces (485 grams) of 58% cotton, 35% modacrylic, and 7% polyester. This combination creates an anti-odor, moisture-wicking work sweatshirt you can depend on each day. The exterior has a DW finish to give it water-repellency to help you stay dry. There's a removable zip-off hood that has a flame-resistant drawcord and high-temp nylon stops. A stand-up collar adds protection and warmth, as do the front handwarmer pockets. Speaking of pockets, this FR sweatshirt also has an internal, angled cell phone pocket with a hook-and-loop closure. A heavyweight rib knit waistband and cuffs with spandex provide flexibility, comfort, and shape-retention. There's a flap covering the zipper for added protection, and this also maintains hidden zippers. 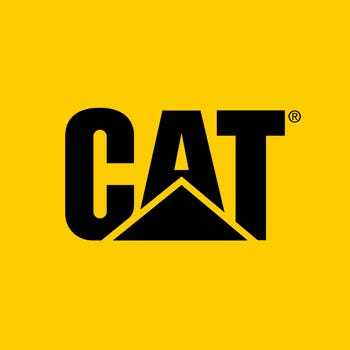 A logo print on the left chest of the men's workwear lets you show off the CAT brand, which you're definitely proud of. The Vision zippers have Nomex FR tape and non-conductive sliders at the center front and hood to add even more flame-resistance. The men's sweatshirt meets the following certifications: UL Certified to NFPA 2112, NFPA 70E, and HRC/ARC3 with an ATPV value of 33.6. The CAT workwear is a work necessity. When it comes to dependable flame-resistant workwear, CAT knows what it's doing. Order this CAT Apparel Men's 1910015 95G Black FR Flame-Resistant Zip-Up Sweatshirt today from Working Person's Store! Very good quality. Very warm and not bulky when working in it. I ordered a size larger because of the other reviews said it ran a bit small and it seemed to fit perfect. Very high cal rating for a sweatshirt. Zipper has a large pull works great with gloves on and zips easily. Pockets are large and deep great for putting tools in. I think this sweatshirt is very well made in comparison to other FR clothing brands. I did order a size bigger than normal based on previous reviews and I'm happy with the fit! It is comfortable and warm. Sweater is a nice quality, but the sizing is a little small. I ordered a XL Reg and it fits like a Lg. Wish I would have got a XXL instead. Not happy with the fit. CAT Apparel Sweatshirts: Men's 1910015 95G Black FR Full-Zip Sweatshirt is being added to your cart.